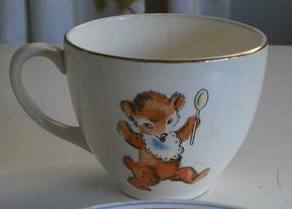 Teddy by Crown Lynn New Zealand from the 1950's .. 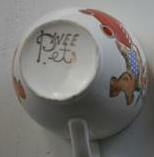 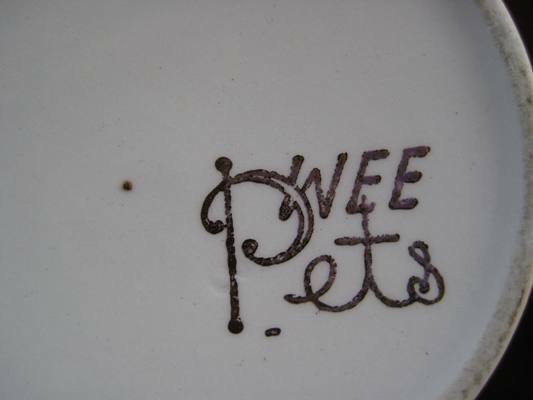 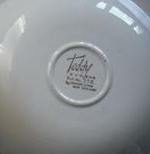 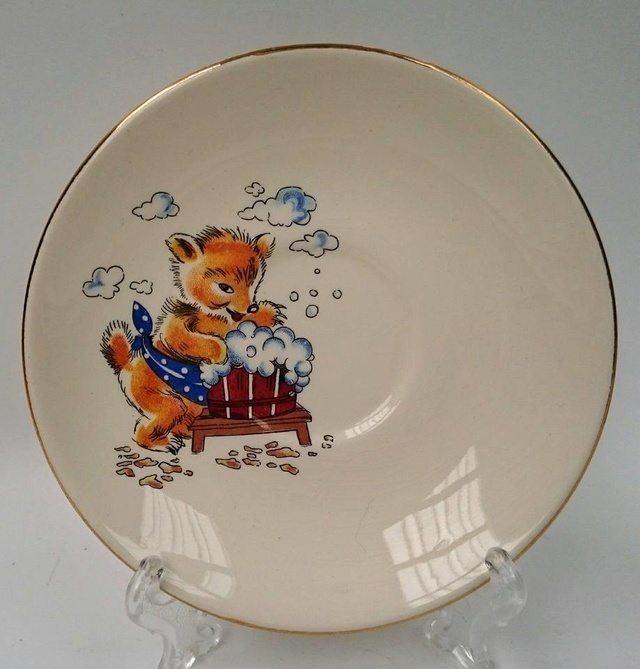 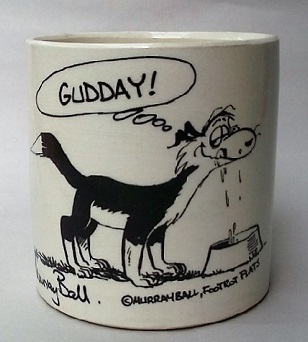 This saucer is stamped Wee Pets and has the same decal as Teddy. 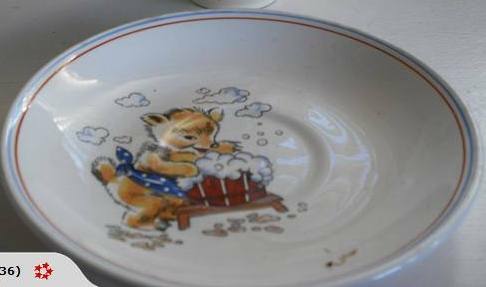 However the Teddy pattern has a thin ring band near the edge of the saucer and this is enough to warrant another pattern name. 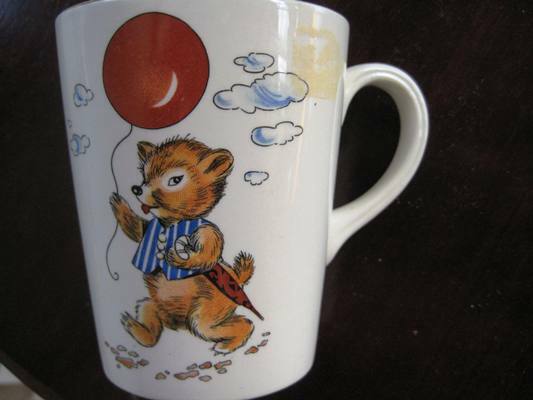 Teddy appears to have been made for Myers as it has the Syrem name on the base and this could well be why it has the band to make it different as it would then be exclusive to Myers only.